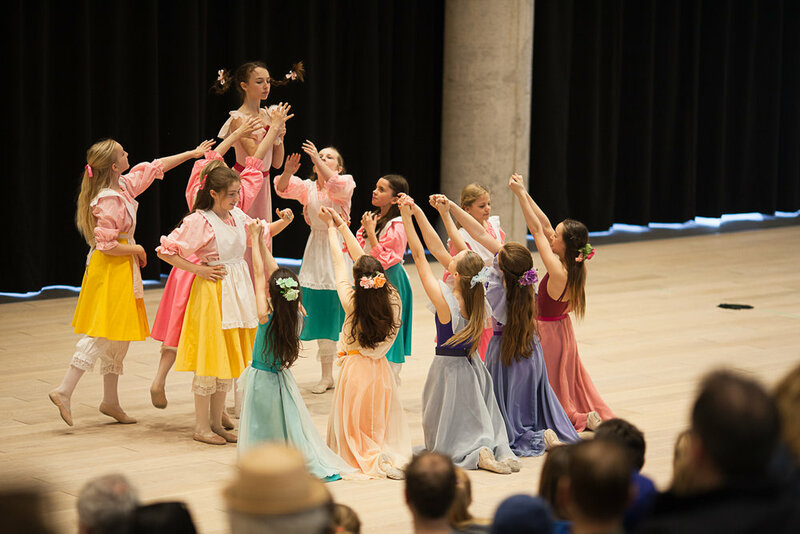 The Youth Dance Ensemble (TYDE) is for dancers in ITP 3+ who wish to add more performance opportunities to their schedules. We take TYDE to the community through performances at the Halifax Central Library, Parkland at the Gardens, schools, and at community events. TYDE is a great way to develop performance skills and a teamwork ethic, as well as prepare dancers for the Young Company. Jen Briand has been dancing with Halifax Dance from an early age and is a graduate of the Intensive Training Program. She is an Associate Teacher as well as a Pre-Professional Certified dancer of the Russian Ballet Society of Canada, has attended national teacher’s training seminars and is currently studying Cecchetti technique. Jen is a former member of the Halifax Dance Young Company and danced the part of Clara in Symphony Nova Scotia’s production of The Nutcracker from 2004-2007. For the past several years, Jen has been the Production Coordinator of the Halifax Dance: June Showcase. In 2007, Jen created a dance program for children with special needs at Halifax Dance. Inclusive Movement has blossomed from a four-week trial to currently being offered in the weekly schedule with arts camps offered in the summer. Jen hopes for this program and other initiatives at Halifax Dance to continue to grow and allow people of all abilities to experience the joy of dance. Jen carries two Bachelor’s of Science in Therapeutic Recreation and Kinesiology from Dalhousie University. She is now a Certified Therapeutic Recreation Specialist (CTRS) and works in Developmental Intervention with children with special needs through the Progress Centre. Jen currently works as a teacher of Ballet, Jazz and Inclusive Movement at Halifax Dance.